A great teaser trailer does two things: It makes the world know that a film they absolutely cannot miss is on the way and it shows them almost nothing from the final product. In fact, before every teaser and promo was brought online, we even had to wait to see them for the first time on the big screen in front of another movie. Imagine now not knowing that your favorite movie was getting a sequel until you’re in the theater and the first footage appears in front of your eyes, that’s the magic that a great teaser trailer can bring. Movie marketing has evolved over the decades, but no practice has been as consistent as the teaser and while there have been some truly great ones throughout the years, there can be only 10 Best. We can discuss the quality of his works at a different point, but director Roland Emmerich knows how to get butts into seats. The Independence Day teaser trailer does something that few teasers do – it spells out the entire plot of the film. Where it works is by showing minimal footage from the movie and building up to the big moment of the White House exploding. We don’t even see the major stars of the movie at all, and we didn’t need to. 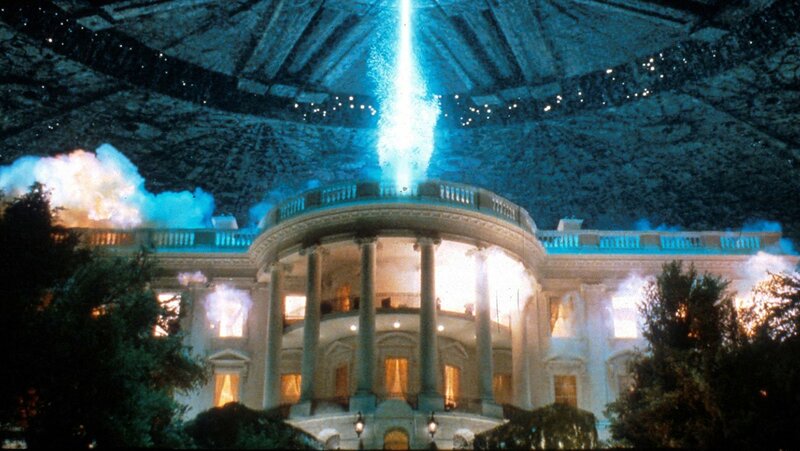 Independence Day also marks a major shift in movie teasers as a shortened version of the teaser was the first Super Bowl spot for a movie, changing the game forever. Premiering in front of 2008’s Cloverfield, itself a great teaser trailer that we’ll come back to, the first Star Trek teaser doesn’t include any footage from the final movie but does include iconic audio bites from President John F. Kennedy, Neil Armstrong, and, climactically Leonard Nimoy’s Mr. Spock as the U.S.S. Enterprise is constructed. It’s a symbolic trailer in addition to being a world announcement of what’s to come – they’re telling the world in this short clip “We’re re-building Star Trek.” Following the poor performance of Star Trek: Nemesis and the cancellation of Star Trek: Enterprise, the series could use a tune up, and it literally got one in the teaser for the 2009 movie. Pixar can clearly put together a seminar on writing movies, but they could make another one about teasing their films. The first glimpse at The Incredibles, which arrived in the wake of countless superhero movies like the Spider-Man series, X-Men, Daredevil, Fantastic Four and more, showed us something that we weren’t getting in those other movies: down-to-earth heroes. This teaser is able to totally sell the concept of The Incredibles while also functioning as its own short narrative with story beats and precision comedic timing. When you think of the filmography of Michael Bay, you obviously think of explosive and money shot-driven montages, which is where the beautiful irony of the Transformers teaser trailer comes in: it’s as simple as it can be. Consisting almost entirely of stock footage of rockets and space, the teaser strings the audience along and makes us wait until the very last moment to tell us what it’s advertising. It does its job, because by the time we see that Transformers logo, we’ve all been wondering what it’s for. This tease of Ridley Scott’s ground breaking film is the godfather of teaser trailers and set a high bar for everyone else to clear in its wake. The teaser is also so influential that its trademark sound effect and non-xenomorphy egg are a staple of the Alien franchise. Like the Xenomorph itself, the Alien teaser is elegant, elaborate, but simple in its style – the perfect organism. Before Transformers started playing in theaters, we got our first glimpse at the mystery box in action. The teaser trailer for Cloverfield arrived, offering plenty of footage and a complete cast of characters that seemed like we should already know, but it’s the final 20 seconds that crank it up all the way and kickstarted the next big push in film marketing: there was no title card in the teaser. The only reference to the film was that it was from J.J. Abrams, which sent fans running to the internet to find out more and speculate online, resulting in the iconic viral marketing campaign for the film, which has still yet to be topped. Again, Emmerich is the boss. Though the film itself isn’t something to dwell on for too long, the teaser is just perfect. The thing to keep in mind when rewatching it now, however, is the shade that’s being thrown. Emmerich and co. wanted to get ahead of Steven Spielberg’s ultra-popular Jurassic Park series, which I why they have the kids looking at/Godzilla stepping on a T-Rex skeleton. Did the movie end up delivering on this promise they made? Not at all, but it made you know that you had to see this movie. How do you announce to the world that you’re going to make a sequel to the highest grossing film of all time? With a bang. Like Cloverfield, the teaser trailer for The Lost World is a real “had to be there” example of marketing. When you’re in a giant theater with true surround sound, the mix on this teaser is unbeatable. You hear those all too familiar distant foot steps on every side of you as you start shifting in your seat, then the T-Rex is finally on you. One must also keep in mind that this kind of teaser was never meant to be watched under a microscope like current movie marketing is, so pay no attention to the fact that the dinosaur looks something from a bad video game. It’s hard to overstate the hype for The Blair Witch Project. This was a movie that the audience convinced themselves they weren’t supposed to be seeing, because it was real, because people actually died. The teaser not only makes you think all of this, but it offers just enough of a glimpse of the movie that it will burrow into your mind and stay trapped there. Never, absolutely never, bet against James Cameron. Ahead of the film’s release, Cameron tasked visual effects master (and later film director in his own right!) Stan Winston with creating the perfect teaser trailer for the film, and he did. The quick teaser features no footage from the movie and just shows how quickly Skynet can put together a brand new T-800 Cyberdyne Systems Model 101, complete with brand new Arnold Schwarzenegger skin. It’s the kind of teaser trailer telling us exactly what we need to know beforehand: This movie is coming out and this is who you’ll see in it. The teaser even works almost like a prequel to the film itself, and was so iconic that a toy was made out of its concept.